Here’s a set that won’t come up often, if ever. 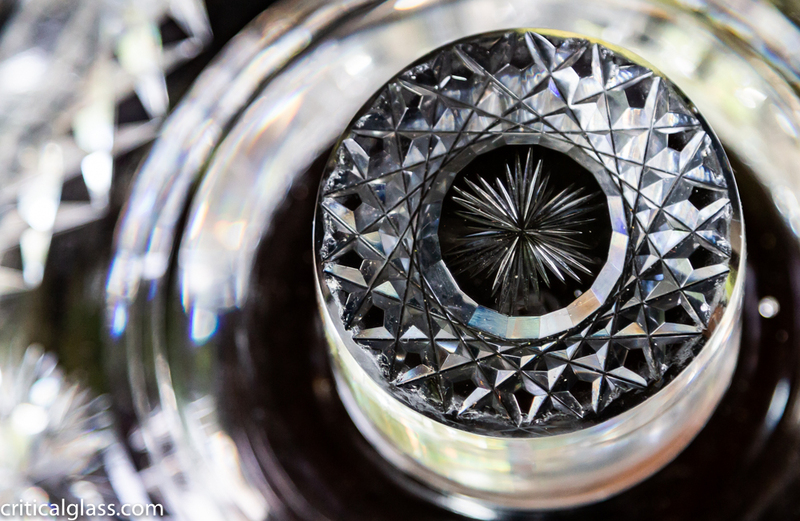 It’s a punch set in Hawkes North Star design. 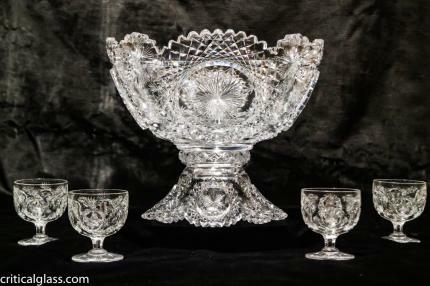 The set features a full punch bowl, stand and 4 matching cups. All pieces are signed with the Hawkes trademarks. 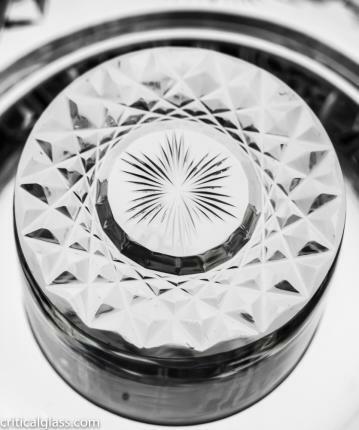 The North Star pattern features 4 huge hobstars with rayed star centers – something you rarely see combined. Each of these giant stars, is divided by bursting star motifs above and below it. 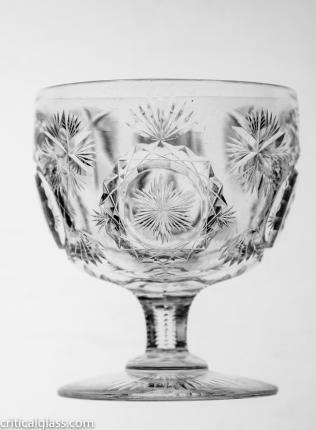 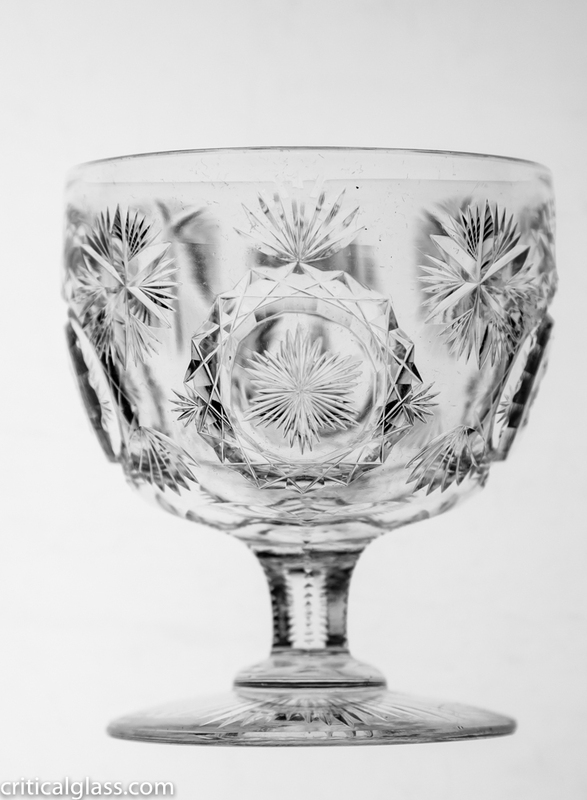 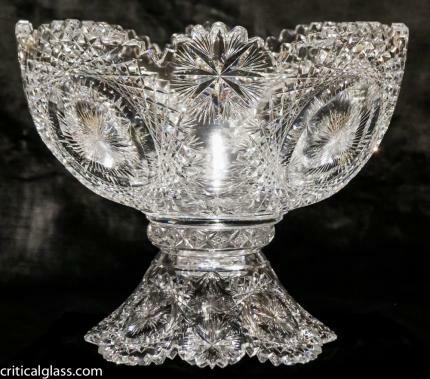 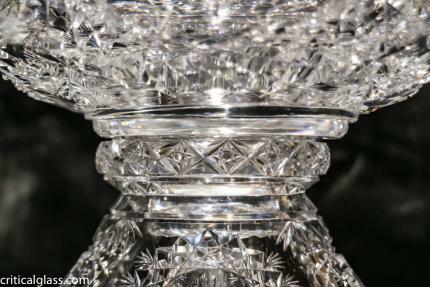 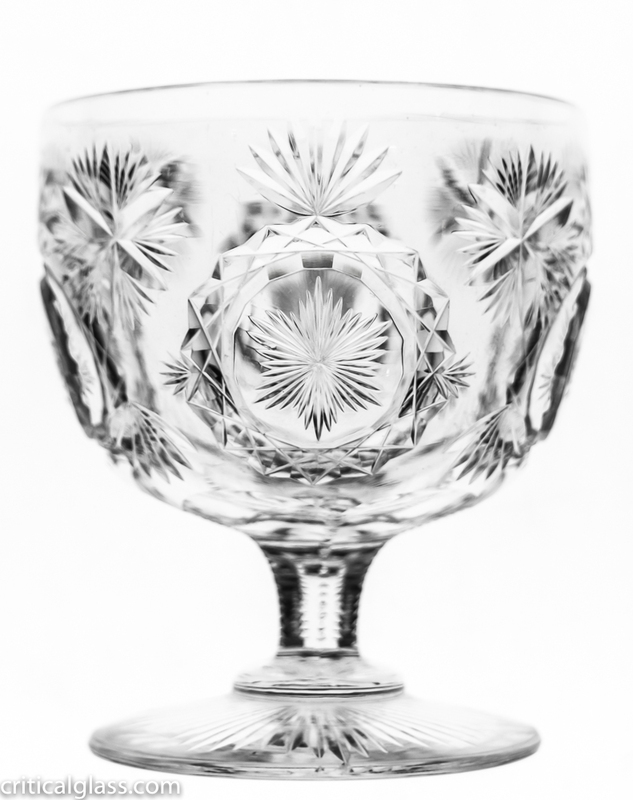 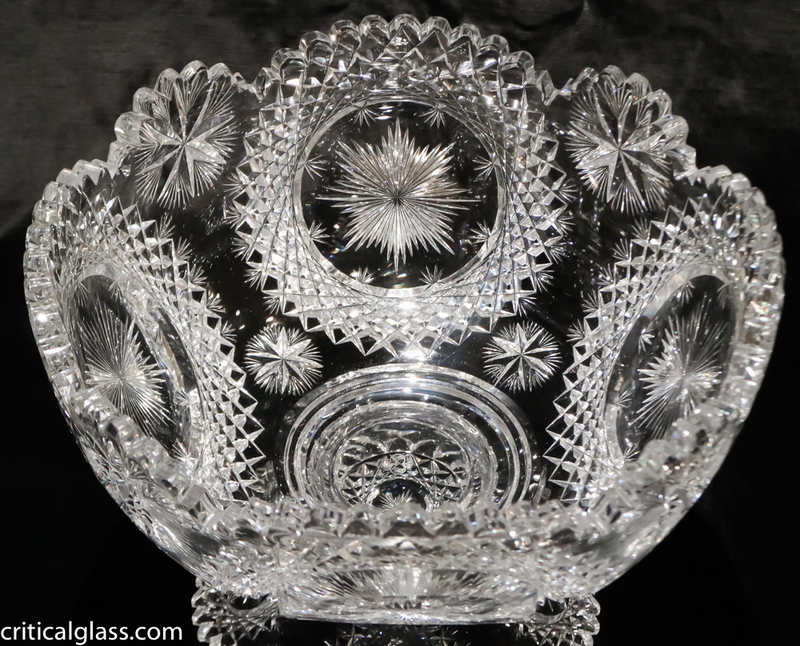 The center star on the knob of the punch bowl features the same rayed center hobstar that is used throughout the pattern. 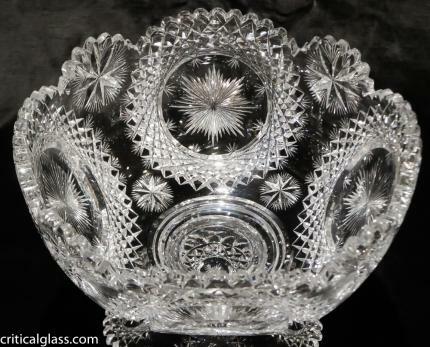 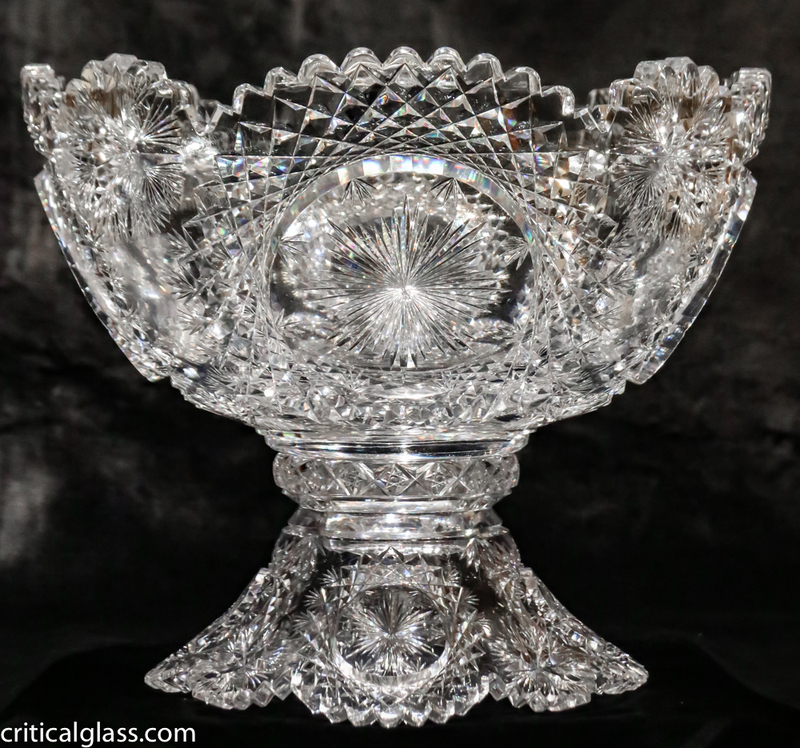 The collar of the punch bowl is cut with clear button center hobstars in a chain. 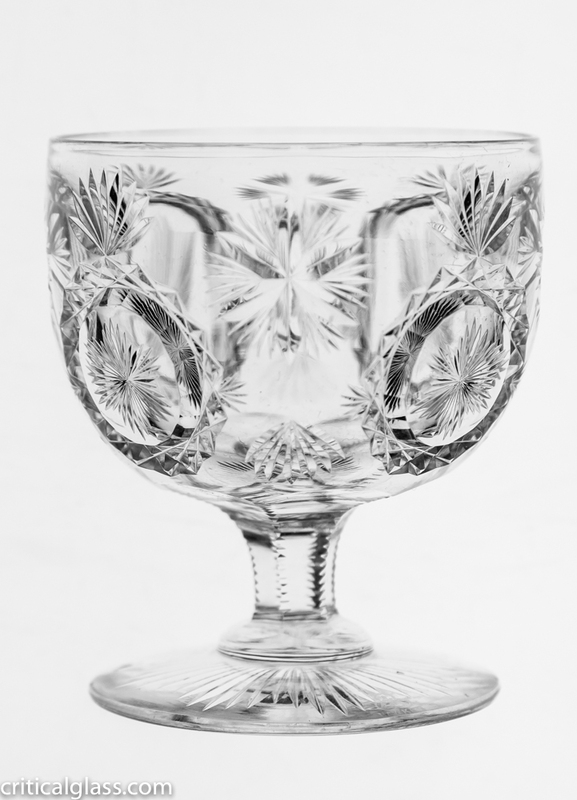 The punch cups are footed and mimic the punch bowls. 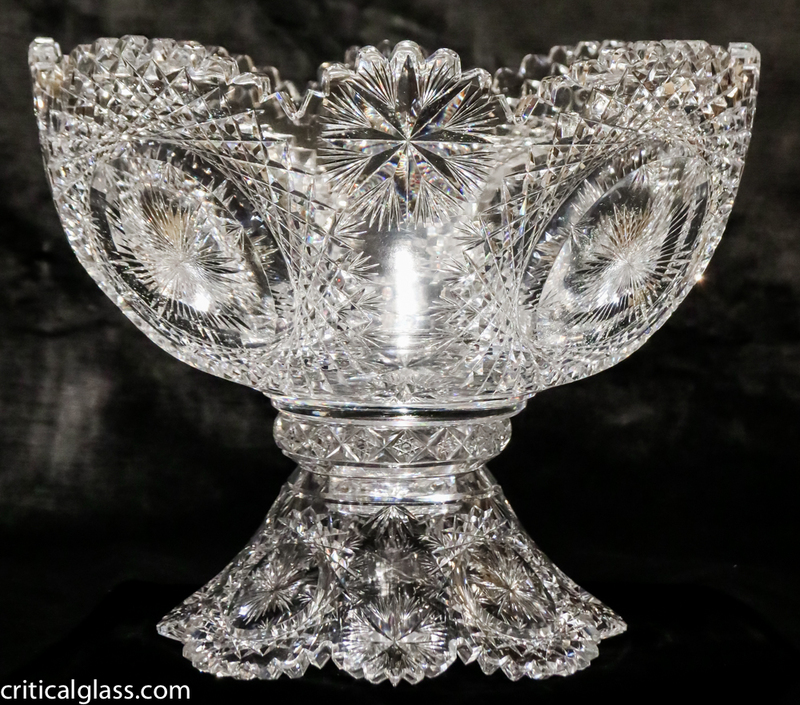 The punch bowl measures 12″ wide, and 10 1/4″ tall. 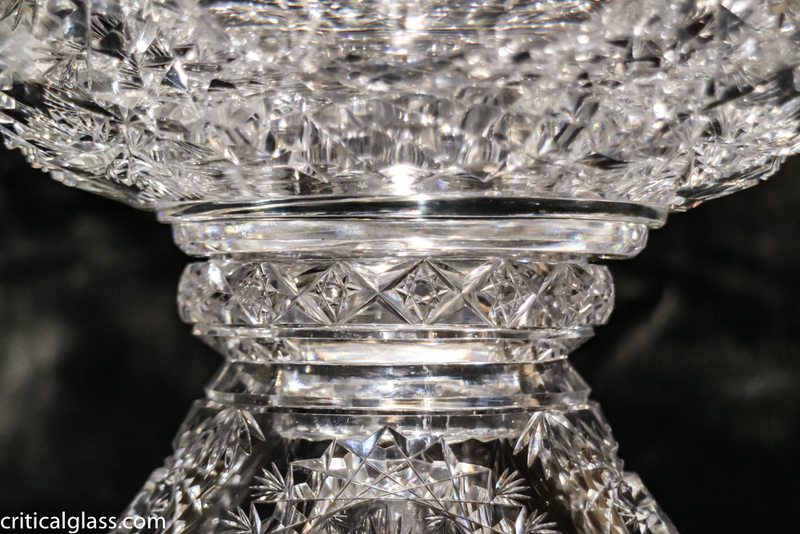 The cups are 3 1/4″ tall and 2 3/4″ wide and all are in perfect condition.